Experience the excitement of live horse racing and race replays on your iPhone, iPad or iPod touch device, wherever you are. Never miss a race again - it’s like having a racing program in the palm of your hand! #TheCoolestHorseRacingAppEVER! Dedicated to fan participation and viewer proliferation of horse racing worldwide! You can set your favorite tracks, horses, trainers and jockeys and receive push notifications with specific sounds for each of the below notifications that can be managed from the “Alerts” tab on the Home Screen or from the More button. Review us with lots of stars and let us know what you’d like in your next update! 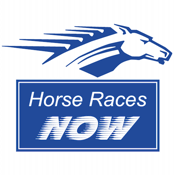 Check out our list of the best apps for horse betting and never miss a race again. This lineup of apps features a veritable hive mind of expertise and analysis for the horse racing fan to harness for better results at the track.